The book The Extraordinary Education of Nicholas Benedict was inundated with adventure from beginning to end. The book had you on your seat’s edge throughout the entire story. This book was witty with great banter between the characters. There is the classic character, of a main bully, with his two friends who make the children’s life miserable. If, you are interested in fairy tales and a more whimsical story, this book is probably not the correct book for you. The story is about an orphan named Nicholas Benedict, who is a very bright boy known for being smarter than most adults. He is going to a new orphanage where he learns that there is a mystery treasure to be found. He sets out on a hunt to find it, along the way he finds new friends. Unfortunately there are also obstacles to the treasure hunt adventure, his condition of narcolepsy, which has him falling asleep at odd times. The other obstacle is the fact that the head of the orphanage is also trying to find the treasure. It turns into a race to see who can find the treasure first. 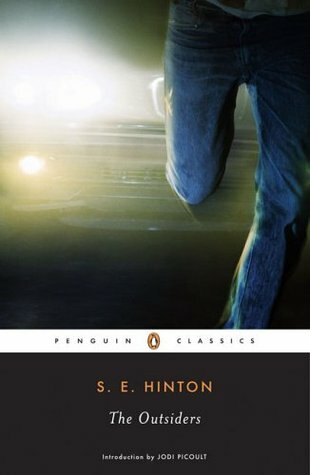 This book is for people who love to solve mysteries and enjoy the unlikely heroes, or the underdogs rising out on top. 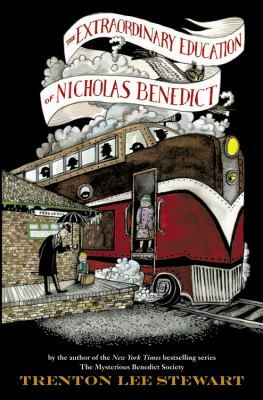 “The Extraordinary Education of Nicholas Benedict” is a wonderful read and I would say you are never to old to read it and enjoy what it has to offer. The Extraordinary Education of Nicholas Benedict by Trenton Lee Stewart is available for checkout from the Mission Viejo Library. It can also be downloaded for free from Overdrive. This book completely and utterly blew my mind. In John Hornor Jacobs’ genius masterpiece, Shreve, a misunderstood teen, works his way through iron cages, both physical and mental. He has a power that he calls the Shibboleth, and he uses it to invade minds. However, multiple characters throughout the trilogy possess the same ability, allowing Shreve to observe the full extent of this power. Other characters have wide arrays of superpowers, some including telekinesis, flight, and hypnosis. While all of these are great, what really stood out to me was the side characters without powers, and how realistic Jacobs made them feel. This aspect of the book brought a dark, yet almost familiar vibe, and I really enjoyed it. Overall, this book is absolutely fantastic for the teen level of reading, and if you like dark humor and sarcasm, this book is perfect for you. The characters and wording will get you hooked for sure. This is definitely a must-read, as well as the first and third novels in the series, The Twelve-Fingered Boy and The Conformity. Thanks for reading! 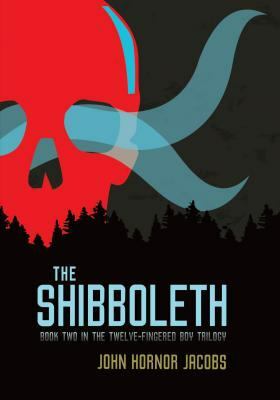 John Hornor Jacobs’ The Shibboleth, and novels that make up the Twelve-Fingered Boy trilogy, is available for checkout from the Mission Viejo Library. Posted on April 29, 2015 by Leila S.
An unfortunate incident at school during Kanako’s 8th grade year sent all her friends away for the summer. They were sent away to cope with the loss of Ruth, a bipolar student at their school who committed suicide because she was bullied. As the story unfolds, the reader finds out about Ruth’s life. Ruth had a hard time communicating how she was feeling because of her condition. Only one boy, Jake, understood how she felt, since his sister had a similar condition. When one day a popular girl throws a mean comment in Ruth’s direction, she decides her life must come to an end and hangs herself in an orchard. All it took was that one mean sentence, uttered in jealousy, which caused so much harm to another person, her family, and her friends, not to mention the rest of her community. Though she didn’t know it at that time, the popular girl was a bully and her verbal abuse led to another’s suicide. It’s so sad that something as horrible as that could happen, but it does. The narrator of the story tells of her summer, living with her mother’s family in Tokyo, coping with the loss apart from all her friends. Kanako makes several references during this time to events that remind her of Ruth, like the orchard where the family routinely picks fruit. The story seems to be coming to a conclusion as the summer ends, but all of a sudden, the story hits a sharp turn in the road. It then veers off into a sadder direction, regarding another of Kanako’s peers. This last major event, as well as Ruth’s suicide, really leaves a mark on the reader, emphasizing the severity of bullying of any kind, verbal or not. This novel deals with direct bullying, through in-person contact. However, other kinds of bullying, especially online or through social media, are also a serious problem in today’s world. Last year, I went to a Character Forum through my middle school that was sponsored by the City of Mission Viejo, which discussed this issue of virtual bullying in more depth. I learned that people either don’t know how to stop the virtual bullying or fear that their involvement will make them the bully’s next target. Though this novel deals with several heavy topics, my favorite part was the ending, because it was so sweet and uplifting and incorporated a unique Japanese tradition. I also enjoyed the freestyle way the book is written. The approach is free verse poetry and is very different from the poetry you read in school. It really lets you see what the narrator is thinking all the time. 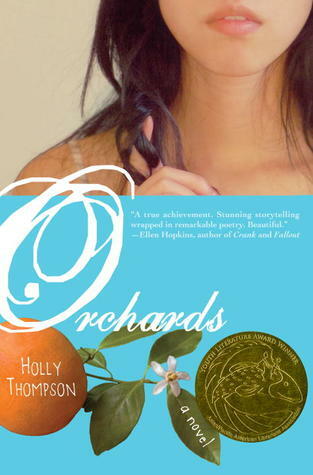 As one of the first novels I’ve read dealing with the subject of suicide, I thought Orchards was a good introduction. 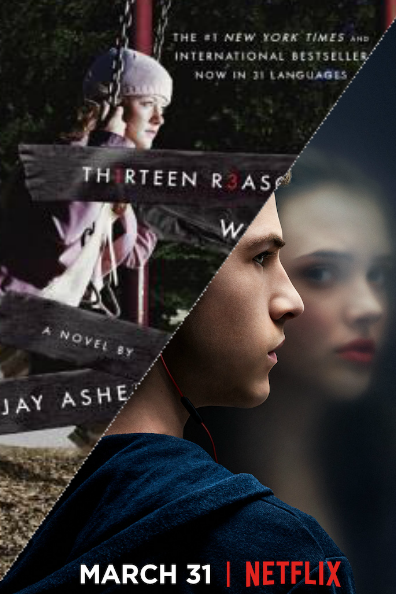 The bullying which led to Ruth’s suicidal actions stayed with me even after the story ended. Whether bullies outright attack their victims in person or hide behind an anonymous screen name, they always inflict harm in their actions. In Ruth’s case, the seemingly insignificant bullying which led to her suicide showed me that every little thing said or done can hurt and affect someone, possibly even causing irreparable harm. While it’s hard to know what to do, the 7th and 8th graders that attended the Character event learned that a person’s character is the most important thing in such a situation. Everyone has to care for one other and demonstrate this in their actions whether interacting with others or posting a comment on social media. Together we must take a stand against bullying.